For years, consolidations in the auto industry have made the market seem as if opportunities for new entrants were limited. But the changing economics in global markets have made this obstacle “appear” less formidable. I say “appear” because building cars can seem simple, but building a manufacturing operation to scale is more complex. Anyone following Elon Musk’s automotive venture can see those complexities easily. 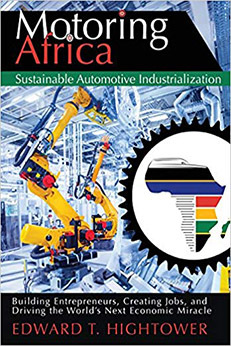 Still the sky may be the limit for the right sustainable manufacturing ideas in Africa, according to Edward Hightower, an automotive exec who has written a terrific book, Motoring Africa: Sustainable Automotive Industrialization – Building Entrepreneurs, Creating Jobs, and Driving the World’s Next Economic Miracle. The reader will walk away with global views of the industry and real-world ideas about how to best enter the market. Hightower has a very accomplished background in the automotive industry. He is a managing director of Motoring Ventures LLC, a private capital investment, operations and growth advisory firm. Hightower lead a crossover business unit for General Motors and has worked for BMW and Ford as well. I heard about the book through the author’s brother, a developer friend who established a Ruby-on-Rails conference in Chicago. I attended a book launch at the BlueLacuna incubator in Chicago, Hightower’s hometown, and purchased a copy for this review. What Is Motoring Africa About? He then takes those stats and emphasizes how an economy, and subsequently, a community, benefits. The book is divided into three main segments. The first explains what sustainable industrialization is, with a splendid 10 point framework for what is involved. There’s an outline on page 33 about what the concept is meant to achieve. The book’s first segment also examines the economics and market structure creating opportunities not only for manufacturing vehicle sub-assemblies, but also for building vehicles from Semi-Knockdown Kits and Complete-Knockdown Kits. The second segment examines the global economy, noting examples of emerging markets and the progress made by suppliers, manufacturers, and investors in these markets. Hightower highlights international partnerships with companies like Renault-Nissan, Geely and Great Wall Motors of China. He also mentions high tech startups like Divergent 3D which launched a 3D supercar (A little easter egg for you: My article on the O’Reilly Solid conference features a picture of the Divergent supercar.). In the third section of the book, Hightower offers strategic suggestions for the savvy entrepreneur interested in taking advantage of this emerging opportunity. The book also examines relevant public policy including suggestions regarding financing and addressing risks. Well, as a car guy, I enjoy any book on the automotive industry. 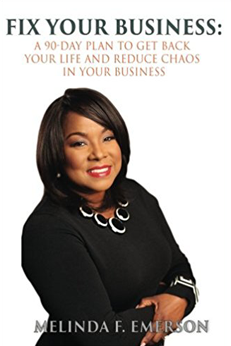 But what impressed me is how Hightower created a textbook-quality read for business owners who really need to keep economic and competitor factors in mind. The book also appeals to folks who appreciate a bit of business history. 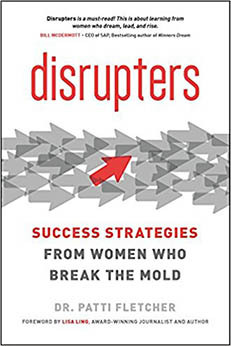 The first chapter notes historical examples in which entrepreneurs transformed Chicago meatpacking and North Carolina furniture manufacturing into industries with major regional impact. I really like how the later chapters outline key considerations for establishing a sustainable operation. In Chapter 9, Hightower covers criteria for selecting a region to manufacture, and then ranks several countries as an example. Even though it may seem Hightower is saying “Here, do X and Y,” the reader gets a view of why these recommendations exist. They give the reader a clear view of marketplace reality. The insights also help the reader appreciate how public policy shapes marketplace opportunities. Hightower’s inclusions of marketplace comparisons to Brazil and China not only spotlight his extensive experience but also emphasize the importance of researching government programs for each market. Those interested in sustainability will see a lot of discussion about how to create sustainable manufacturing strategies, such as this significant comment in Chapter 11. Hightowers’ experience as an investor and advisor also come through here. The book can feel quite overwhelming at times, but the automotive industry is inherently complex. Still, Hightower finds ways to simplify the information for entrepreneurs enabling them to choose the right opportunity. Entrepreneurs and investors should find Motoring Africa a great marketplace primer. Very few books outline an industry opportunity with such thorough analysis on a market — including an analysis of the risks involved. In fact, Chapter 14 is literally called Risks and Mitigation. Buy Motoring Africa to learn more about the opportunities available in Africa’s emerging car manufacturing industry and whether you might want to get involved. The automotive is huge and highly competitive. Plus, the add-ons generate tons of money.